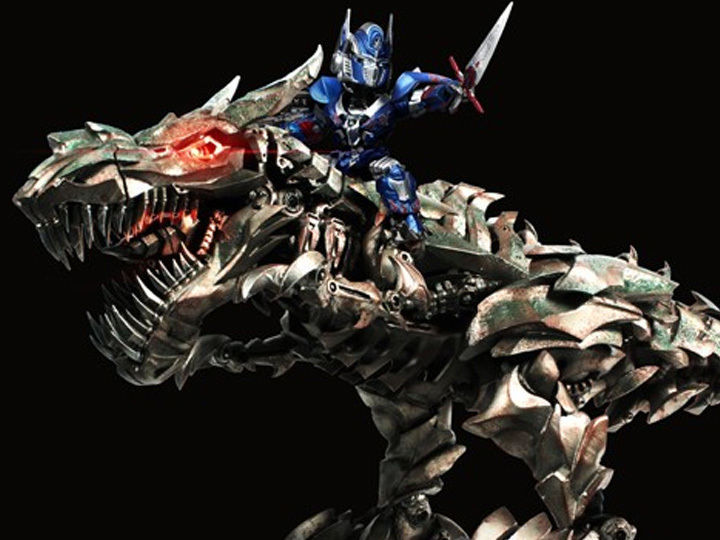 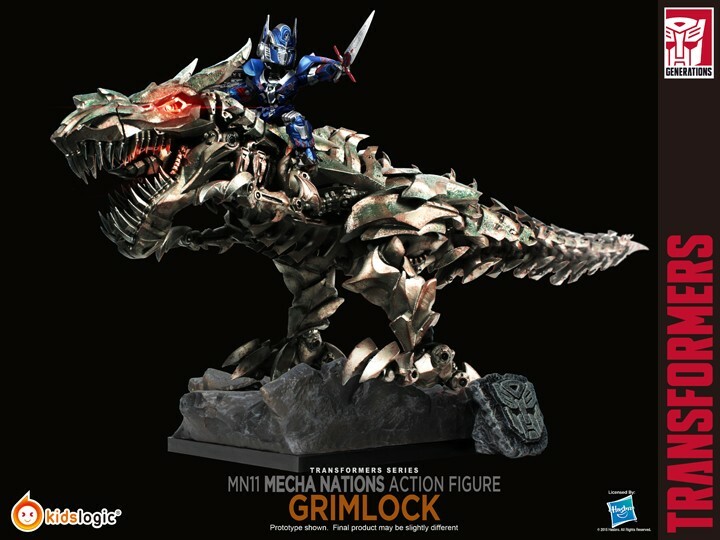 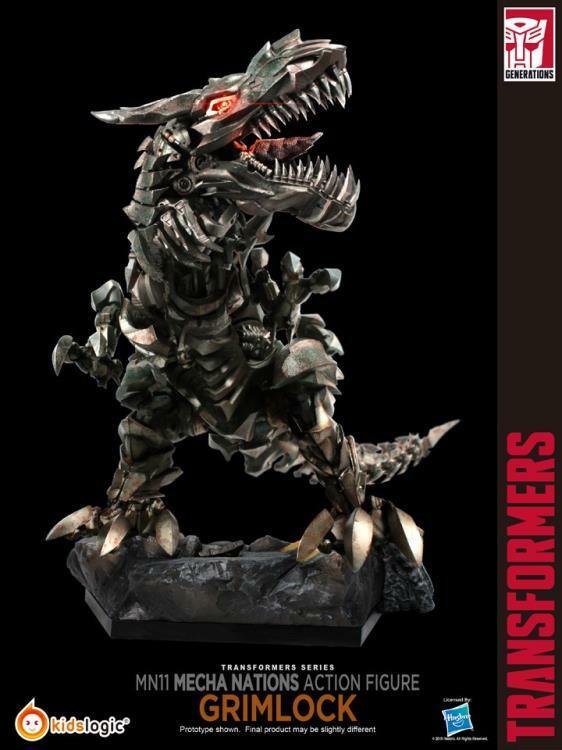 From the movie Transformers: Age of Extinction comes the fierce Grimlock which can be ridden by the 3" Optimus Prime that is also included. This fully poseable figure feature LED light up eyes and mouth. Product Size: 18.9" x 9.9" x 5.90"